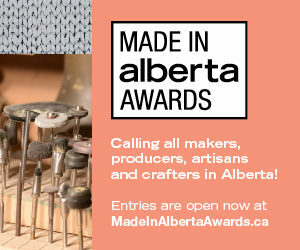 Find the fizzy drink by Conrad and Louisa Ferrel at various locations throughout Calgary. Conrad and Louisa Ferrel had their first sips of Kombucha during a 2010 holiday in Asia, but it was during a beach vacation in Ubud, Bali, that the pair decided to make their own. The drink, made by fermenting tea and sugar with a SCOBY (symbiotic culture of bacteria and yeasts), was unlike anything they’d ever had before: it was sweet, fizzy and packed with probiotics and enzymes. Kombucha wasn’t widely available in Calgary, but the couple decided to change that. On their return, Conrad started experimenting in the kitchen. He had acquired a SCOBY colony from a friend’s mom – it turns out a lot of home brewers sell the culture on Kijiji – and spent hours concocting the perfect formula involving organic tea and organic cane sugar. There were very few drawbacks, aside from cleaning up after the occasional bottle explosion when the kombucha was too carbonated. The Ferrels’ friends and family loved the new drink. With their perfected recipes in hand, Conrad and Louisa, both accountants in the corporate world, took the entrepreneurial leap. In late 2014, True Bch, Calgary’s first handcrafted kombucha company, was born. The business has come a long way in just a short time. From brewing 2.5 gallons of kombucha per week for their own personal consumption, the Ferrels now brew about 600 litres a week in their AHS-approved facility in Cochrane. 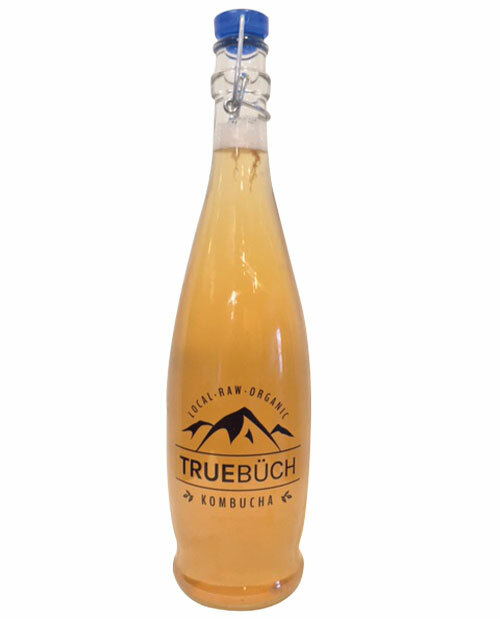 There are six or seven flavours of True Bch kombucha available in independent markets throughout the city, the most popular being the ginger kombucha. Find True Bch draft kombucha at Market 17, Wild and Raw Superfood and Juice Bar, Junction 9 Yoga and Pilates, the Hillhurst Sunnyside Farmers’ Market, the Bridgeland Market, Blush Lane Organic Market and The Naked Leaf. For more information, visit truebuch.com.